2016 full album mix, five single edits & an alt. version of Dance of the Dawn all mixed by Steven Wilson. Full alt. album featuring side two (studio) & side 4 (live) of original album prev. unreleased. Album mixed in 5.1 Lossless Surround + extra track mixed from original multi-track sources. 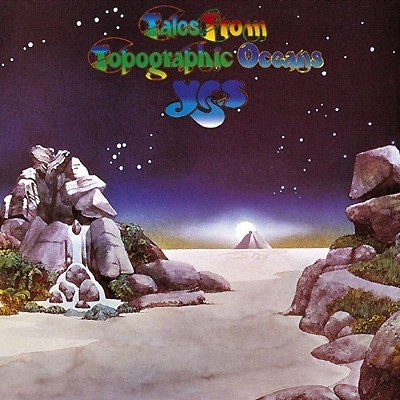 With the combination of the original album mix in its highest available resolution, completely new stereo and surround mixes, expanded artwork, fully approved by Roger Dean and more, this is the definitive edition of “Tales From Topographic Oceans”. Live At The BBC: 1967-1970 Ltd. 3LP Deluxe col.